In our recent blog, Ryan Ng wrote about new Smart Home connected devices being developed and sold in 2018. There are many new and innovative ways to improve our lives using technology appearing in stores and on crowd funding platforms such as Kickstarter every day. 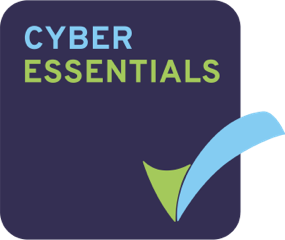 The majority of these devices interact with mobile apps, whether they are sending notifications or allow the user to control functionality, these devices often require a hub to connect the devices to the wider internet. Smart speakers and thermostats are now being used as hubs to connect other smart home appliances. Many of these devices, such as a PIR or door open/close sensors, are running on coin cell batteries which are expected to last multiple years and for this they need to use a low powered radio network to communicate with their hub. The Bluetooth and Zigbee radio protocols are widely used in this area with well-defined standards and optimisation of power usage to maximise battery life. We thought it would be interesting to buy some tools and see what data we could capture. Bluetooth and Bluetooth Low Energy (which is a subset of Bluetooth 4.0) are maintained by the Bluetooth Special Interest Group and runs on 2.4 GHz. Bluetooth Low Energy was designed to provide much reduced comms and power drain whilst offering a similar range of communication. We purchased an Ubertooth One from Greatscottgadgets. 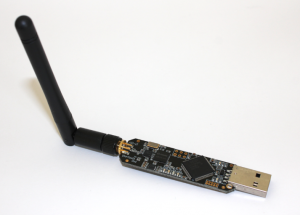 The Ubertooth One is “an open source 2.4 GHz wireless development platform suitable for Bluetooth experimentation”. 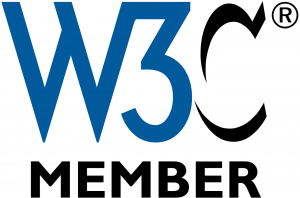 The device allows us to promiscuously sniff packets of Bluetooth data using a tool such as Wireshark, but something we found much more interesting is the open source project BlueHydra available on GitHub. BlueHydra is a Bluetooth discovery service built on top of BlueZ, the official Linux Bluetooth stack. 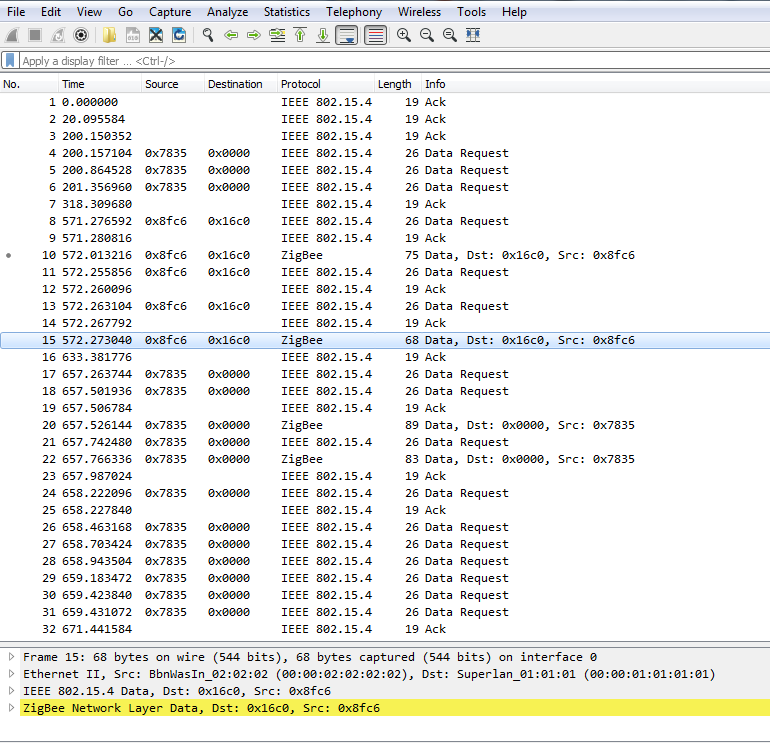 Using these tools allows us to track Bluetooth devices as they pass by with BlueHydra showing us how often the devices are in our vicinity, how close and in many cases who the manufacturer of the device is. Devices can be detected even when Bluetooth is not in discoverable mode! 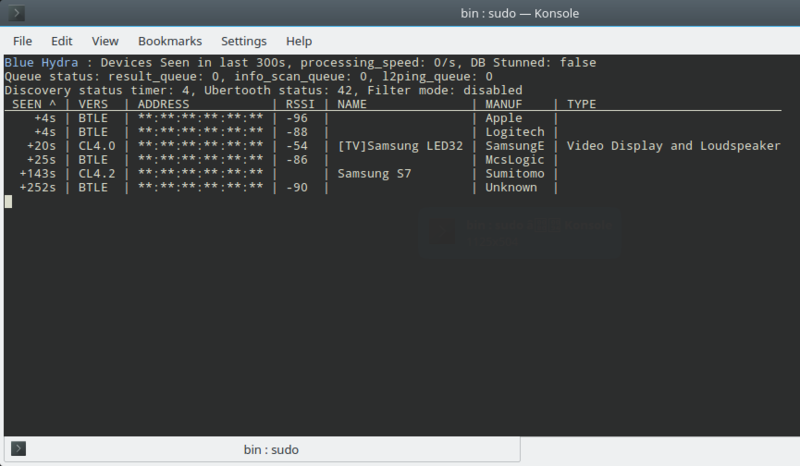 Functionality can be further extended with simple python scripts such as ble_finder.py written by Troy Brown and Garrett Gee which allows you to create a list Bluetooth devices to be monitored and will alert you when a device is detected in close proximity to the Ubertooth One. We also purchased a Zigbee packet analyser a few years ago for a project before Zigbee became so popular in Smart Home systems. Based on IEEE 802.15.4, Zigbee is a low powered radio standard developed and maintained by the Zigbee Alliance with most devices running at 2.4 GHz, with some other regional frequencies available (784 MHz in China, 868 MHz in Europe and 915 MHz in the USA and Australia). 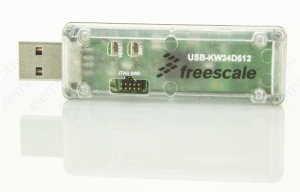 The device was manufactured by Freescale although they merged with NXP in 2015. The analyser we’re using is a NXP USB-KW24D512 using this device, the Kinetis Protocol Analyser Adapter software provided by NXP and Wireshark, we’ve captured data packets being communicated between Amazon Echo Plus and Phillips Hue smart light bulbs and also Samsung Smart Things communicating with sensors. 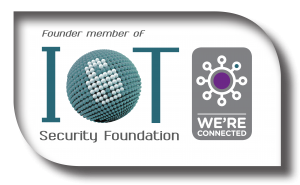 Although this data is encrypted, it does allow us to scan for Zigbee based Smart Home devices around us and as all devices are allocated their own Device Network ID, so we can see how many devices someone has in their home. In Zigbee, the protocol is designed to not leak information beyond the initial pairing process. This prevents arbitrary traffic analysis. In Bluetooth, however, when a device communicates with another device e.g. a fitbit with a phone, the traffic can be observed, which gives at the very least metadata about user habits such as what time they get up in a morning. This is not good for user privacy.